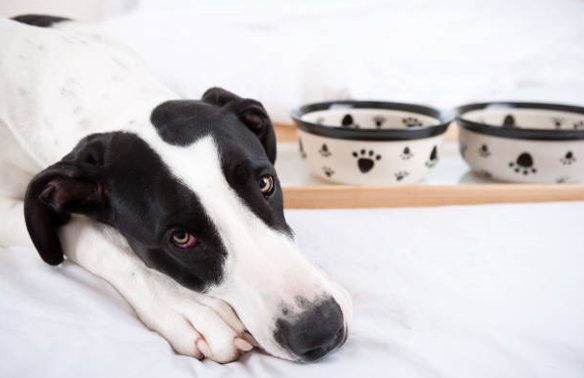 Home » Planning » My Dog Won’t Eat – Is It The Food? 2.4 Don’t give in, they will eat! There are many reasons dogs may not be eating. Some can be from sickness within your pup or it can be they just don’t like the dog food you are feeding them. In todays post we are going to look at how you can help if your dog not eating due to stubbornness of not liking their food. However, if you believe there might be something else going on, a vet should examine your dog for medical issues. Some dogs are picky eaters, especially ones that get’s scraps from the kitchen table or by getting into the trash. Once they get the good stuff, it is hard to talk them into eating plain old dog food. I personally go through this with our dog Rosco. If you think about it, it’s like us humans going from fast food to vegetarian meals (nothing against you vegetarians lol). The point is that once one gets used to something, it is hard to break away from it for something so bland. That brings me to my fist point. You should not change dog food brands once your dog has gotten used one a specific brand/flavor unless there is a good reason. Changing dog food can cause your dog to get an upset stomach, prefer one over the other which may cause your dog not eating. Picking a food that is healthy for your dog is more important than something they love. Just like kids, dogs will most likely like “junk dog food” over a more healthy blend. I suggest reading our article on the best cheap dog food available to keep the price down. If your dog is a picky eater and you can’t find a food that he likes, there are a couple tips that can help. 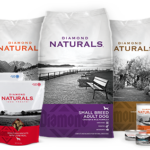 We feed Rosco Diamond Naturals Beef which in my opinion is the best dog food for the price. He is not too fond of this food. When given to him dry, will only eat once a day if that. By adding a little water to the food, it brings out more smell, taste and is more like a wet dog food. He will eat his meals this way and this way only. He is still not excited for dinner time. But it gets the job done and we know he is getting good nutrients. This method is worth a try since it is free. If still your dog is not eating, you can add enhancements or supplements. Though this is adding a little cost to the meals, it will most likely work. Dogs love things like Omega 3 fatty acids (<–health benefits from Omega 3) and they are great for your dog as well! You just sprinkle it on your dogs food. We suggest Purina Flortiflora (<–our review). Besides it getting great customer reviews, I can tell you that Rosco loved it when we use it. You can see customer reviews here on Amazon. If you don’t mind adding a little cost to your monthly dog food bill, doing a little research on different supplements will make your dog love you at feeding time. 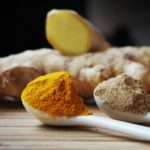 If adding water doesn’t work and you do not want to go with adding supplements to your dog’s food, find a food that they like which may be less nutritious and mix it with the better quality food at 25% to 75%. You may need to play with the percentage to find a combination your dog accept, but you want more quality food than the “junk food”. Option two if you use dry food is to try mixing with a wet food. 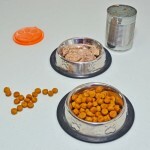 Wet dog food will add expense to your monthly food bill and can be a hassle. Don’t give in, they will eat! If you are to the point where you have tried everything including having your dog checked out by the vet for a sickness and tooth/mouth issues, your dog just might be too picky. In this case, hold tight and don’t give into giving your dog table food. Put the food out and when they get hungry enough, they will eat it. They will get use to it over time. It may be a long battle. If all else fails, you may want to look into if a raw diet is for your dog. Hopefully after trying these suggestions, you will no longer be saying “my dog won’t eat“!